The new Carfagna’s site was launched on Friday to resounding approval from owners and customers. It’s a beautiful site that functions as great as it looks. Working with this amazing family and their staff was a wonderful experience, and we hope this is the beginning of a long and productive relationship. 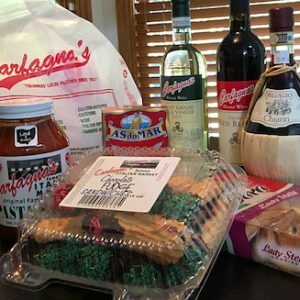 If you haven’t shopped at Carfagna’s recently, or even ever, you really do need to. Go to the website and and checkout their Gift Baskets, Family Meat Boxes and Meat Gift Boxes – amazing quality and prices! Their Wine Shoppe has over 1500 labels and offers the largest Italian wine selection in town. Plus wine tasting and special events. And don’t get me started on the incredible butcher and deli counters. Homemade sauces, pasta, breads…it’s a foodie’s delight! Congratulations to the Carfagna family for owning and operating this unique market since 1937! 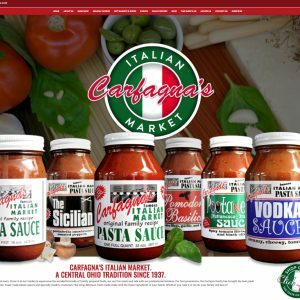 We are so excited to be working with the team at Carfagna’s Market on their new website. While we have shopped there many times, we felt a bit of research was in order. Afterall, it’s part of the job. But for this project we get the added benefit of eating & drinking our research! Spent time at Carfagna’s (Col, OH) to learn more about the market’s amazing food and wine and great meat department with really friendly staff. This delicious “research” should help the new site design come to life! 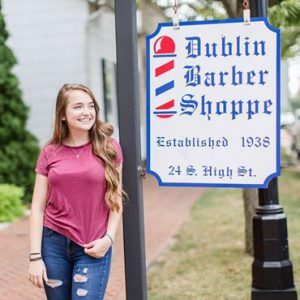 The Dublin Barber Shoppe has been tradition in Dublin, OH since 1938. In fact, it has the distinction of being the city’s oldest business still in operation. Now owned and operated by Craig Price, the shop offers haircuts and beard trims to guys of all ages. While it remains true to the core of a barber shop, their approach is quite contemporary. And that’s where we come in. We are designing a website for DBS that with an online scheduling app. 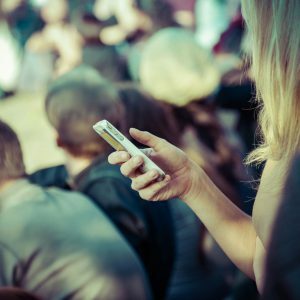 Customers can access from anywhere and setup their appointment. Can’t wait to showcase the final product. Thanks Craig and Martha for choosing Trusty & Company – we love working with you! 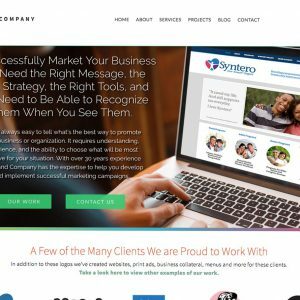 We shared this update with Trusty & Company clients who host their websites on our server. While we cannot help or support those who do not host sites on our server, we believe this is valuable information for all businesses who have sites online. Earlier this year Google announced that the July 2018 update to its Chrome web browser (Version 68) will include displaying a new “Not Secure” warning for any website that is not secured with an SSL certificate. 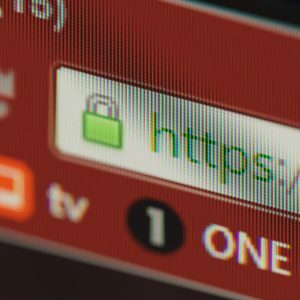 If you’re not using an SSL certificate, this could negatively affect your web traffic and the trust visitors have in your site—if they are using the Chrome browser to visit your site. 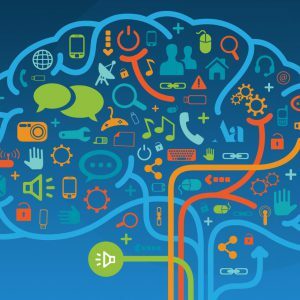 So while this change does not effect your site’s functionality, it may effect a visitor’s perception of your site. Visitors may not want to stick around if they see a “Not Secure” warning. You can find more information on the Google Chrome update on their website here. DOES YOUR SITE ALREADY HAVE A CERTIFICATE INSTALLED? It’s easy to find out if your site is using a SSL certificate. Most browsers mark secure connections with a green padlock and/or a message. You can also look at the beginning of your site’s URL displayed in the address bar in any web browser. If it begins https://example.com your site has a certificate installed. If it displays http://example.com (note the missing ‘s’) then it does not. SSL stands for Secure Sockets Layer. It’s a protocol used to encrypt and authenticate the data sent between an application (like your browser) and a web server. This leads to more secure web interactions for both you and the visitors to your website. When you work with a client for a long time, say ten years or so, you get to know the culture of an organization. Through our work with Syntero, Inc. we have met and worked with the CEO, many department heads, counselors and staff. 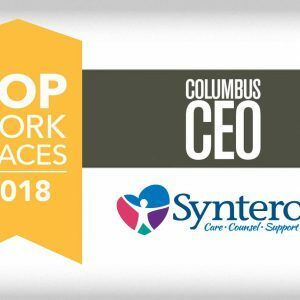 To a person they are professional, thoughtful and committed to the Syntero mission: To provide compassionate behavioral health and social services. Congratulations to Peter Margaritis, CPA, aka The Accidental Accountant, on launching his second podcast series, Change Your Mindset. Pete is an author, speaker and podcast host who works with accounting professionals to improve their communication skills through improv. 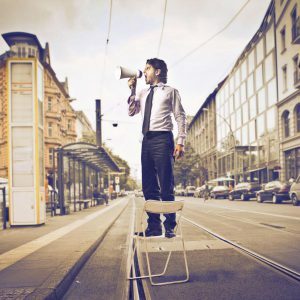 We have worked with Pete for 12+ years, helping him consistently connect with his clients by taking advantage of all the marketing tools available to him, including website design and development, sell sheets, book cover design, podcast graphics, social media graphics and printed collateral. Good luck with the new podcast series, Pete! Unlike very large organizations that have a highly developed P&L budgeting process, most small and mid-size companies do not set an annual budget based on what it will take to market their business. Often the budget is based on what the management team want to spend and does not reflect what it will take to connect with customers in a way that will drive results. Filed Under: Marketing & Business NewsLeave a Comment on What’s Your Marketing Budget?